A colorful ceremony was held in Masindi on March 7, 2019 to officially launch the Prosper product. More than 200 people were in attendance, including BrightLife and FINCA Uganda clients and staff, local community members and representatives from Financial Sector Deepening Uganda (FSDU). Prosper tackles two issues at once. First, it helps Ugandans access BrightLife’s clean energy products that create healthier and safer homes, increase productivity, reduce household expenses and provide additional income-generating opportunities. 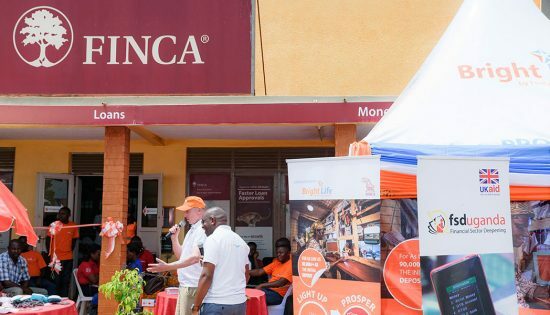 Second, and crucially, Prosper will help transition unbanked and under-banked BrightLife clients to FINCA Uganda where they can access a variety of savings and credit products for more impactful financial inclusion. Andrew Muhwezi (left) meets with Norah Basembera (right), a new BrightLife customer enrolled in Prosper. However, she recently purchased a solar home system from BrightLife and is enrolled in Prosper. After repaying her PAYGo energy loan in full and on-time, Norah will be able to deposit her rebate into a FINCA Uganda savings account. Instantly, then, she will be eligible for a loan at a multiple of her deposit amount. It’s just the opportunity Norah needed. The good thing with this product is that it is for the poor. I want to extend my appreciation to BrightLife and FINCA Uganda for thinking about the poor. 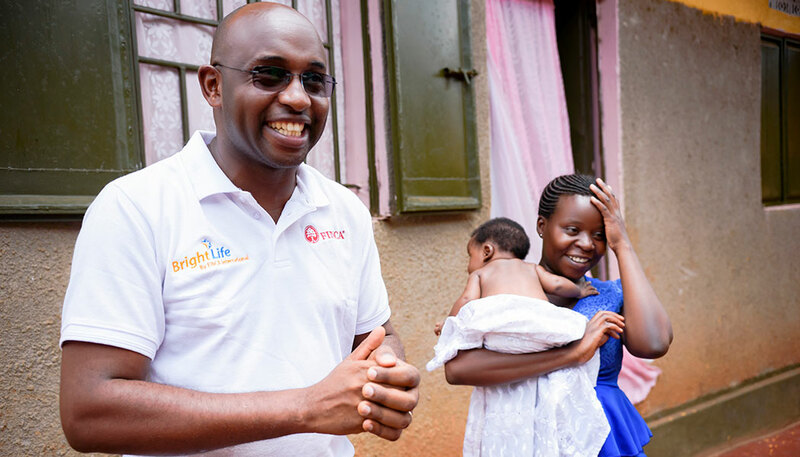 BrightLife and FINCA Uganda are excited to launch the Prosper product, which we believe marks the first joint customer experience between a PAYGo solar company and a formal financial institution in East Africa. We are confident that Prosper will allow BrightLife clients to climb the energy ladder while unlocking previously unattainable financial products, to help them achieve their long-term financial goals.